WHETHER THE CROWDS are big or small, the performer an indie rocker or a mainstream sensation, North Carolina makes certain the live music experience is part of everyday life. There are arenas fit for Beyoncé-level acts along with hip holes-in-the-wall featuring promising newcomers — the state is covered with ample opportunities to get on your feet. To see some of the biggest bands on tour, check out The Fillmore, part of the NC Music Factory in Uptown Charlotte. The Fillmore is fashioned after the iconic venue in San Francisco of the same name, mixing touches of vintage splendor with edgy contemporary flare for a distinctive and intimate atmosphere. Before or after a show, make sure to walk around the corner to some of Charlotte’s favorite restaurants and breweries. Recommended: Headbangers in the Charlotte area can look forward to Amon Amarth rocking the stage of The Fillmore on April 20th. The smallest and dare we say funkiest place on this list, The Pour House in downtown Raleigh has a jam-packed calendar of talent and variety of music. At first glance, this venue may seem nothing more than a dimly lit hole in the wall (which it is), but it’s actually an extremely inviting event space serving a large assortment of North Carolina beer and house-made cocktails. There’s always a good chance you’ll see an act on their rise to national acclaim here. Recommended: Catch multi-platinum-selling artist Nappy Roots playing on April 22nd. 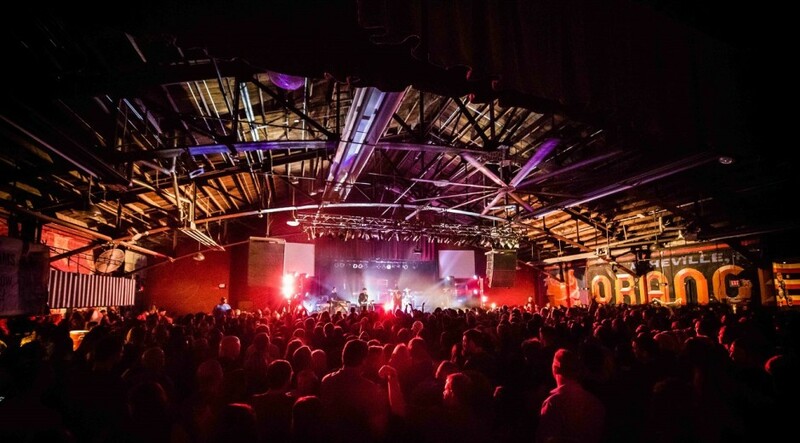 In the mountains of Asheville sits one of the leading venues for live music in the nation: The Orange Peel. This fun, retro venue welcomes artists from all walks, from Steve Martin and the Steep Canyon Rangers to Dark Star Orchestra. Much like the rest of Asheville, the Peel is a free and funky spot where you don’t merely watch as a bystander, you take to the dance floor and move to the sounds of the music. Recommended: Upcoming shows include the band Abbey Road playing all your Beatles favorites on March 26th, and alternative rockers They Might Be Giants on April 7th. Cat’s Cradle, in the heart of progressive and hippie-tastic Carrboro, is a staple for live music (and just around the corner from the University of North Carolina). The Cradle has been a great place to see local and up-and-coming bands in an intimate setting for more than 40 years. It offers a quality of sound surprisingly powerful for such a small venue, and it’s considered legendary in the community, having hosted big acts like Nirvana and current artists from The Dillinger Escape Plan to Waka Flocka Flame. Recommended: After a performance here, head to the corner of 370 East Main for dinner at Calavera Empanada and Tequila Bar; order the empanadas al pastor and your favorite mezcal. Durham’s Motorco Music Hall is another great place in the Triangle to see local and up-and-coming bands. The back of its Showroom opens to a spacious bar where you can watch the main act over a cocktail with a little breathing room from the crowd. Motorco also has a great patio space outside and an abundance of quality food and drinks, making it a perfect space to meet up with friends any night of the week. Recommended: Before or after a show, head across the street to one of NC’s favorite breweries, Fullsteam. Dazzling neon lights, psychedelic artwork, and great headliners create a show to remember at Fayetteville’s Rock Shop. Its relatively small size, combined with big-time bands like Red Jumpsuit Apparatus and Deftones, make for a simultaneously intimate and exhilarating atmosphere that feels as if you’re on stage alongside your favorite performers. Top that with a bar in the middle of the floor, and The Rock Shop is an obvious nightlife hot spot. Recommended: If you’re in the area soon, the Rock Shop will host the quick-rising shock-rock metal artists Butcher Babies on March 13th. 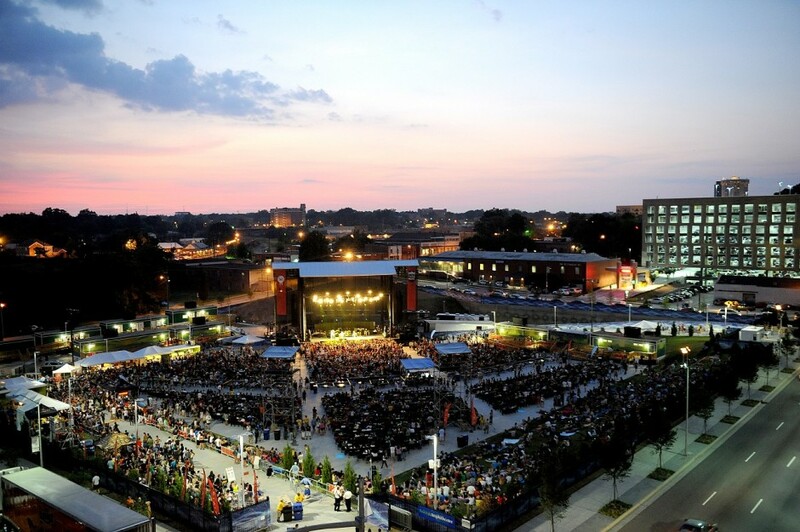 If you want to get down in the city, head to Raleigh’s Red Hat Amphitheater. There’s something extra special about seeing your favorite group perform under the stars with the grand downtown skyline surrounding you. Get up close and personal at the stage or grab a drink, kick back on the lawn, and unwind to your favorite jams. Recommended: When the show is over but the night has just begun, check out Raleigh’s food and club scene within walking distance, like the James Beard Award-winning Beasley’s Chicken and Honey, or grab a drink and play pool at Slim’s Downtown.